Armenia became the world’s first Christian country more than 1,700 years ago in 301 AD. As a former Soviet republic lying in the Caucasus region, straddling Asia and Europe, Armenia has an ancient and rich culture. And it´s also one of the easiest countries to hitchhike in the world, the only public transportation I ever took inside Armenia was the minibus from Yerevan to Nagorno-Karabakh, the rest of my time in Armenia (2weeks) I hitchhiked without any problem. Armenia is a captivating country with an interesting and tragic past, and here are just a few of the reasons to spend time exploring it. Take time to visit the Genocide Museum here which marks the events of 1915 when 1.5million!! of Armenians were killed by Turkey, a genocide that Turkey still refuses to admit that it ever happened. Another good place to go, especially at weekends, is the Vernissage. A huge flea market in the center of Yerevan where everything is sold, from Russian military jackets to books, carvings, second-hand camera gear. Yes, more or less everything is sold here. Around Republic Square, there are lots of distinctive Soviet-era buildings but the city is developing all the time. Armenian brandy is famous for being one of the best in the world and Yerevan has several distilleries where you can take tours, you can see how local brandy is made, with Brandy tasting at the end of the tour. Lots of local Armenians make their own Brandy at home, and it happened a few times that I got gifted a homemade bottle of brandy from locals that picked me up while hitchhiking. The local brandy “Ararat” was the one that Stalin gifted to Churchill after WW2. It kept world leaders happy for years. 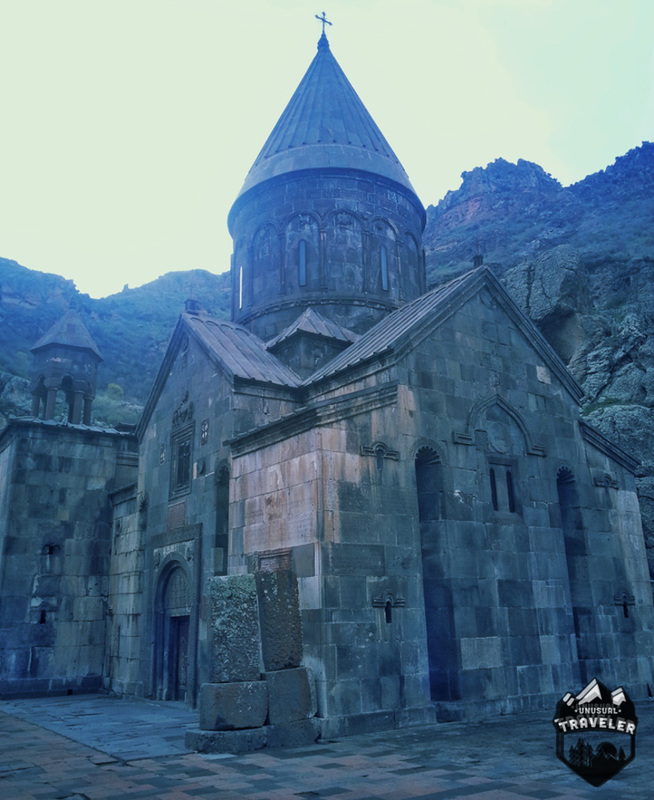 Since Armenia has been Christian country more than 1,700 years ago, so are most of the sights around the country ancient churches and monasteries. Yerevan is the capital of Armenia and dominating the skyline is the snow-capped peak of Mount Ararat, where Noah´s ark came to a rest according to the bible. There are grown adults who actually believe that two penguins walked all the way from Antarctica to the Middle East to get into an Ark…. 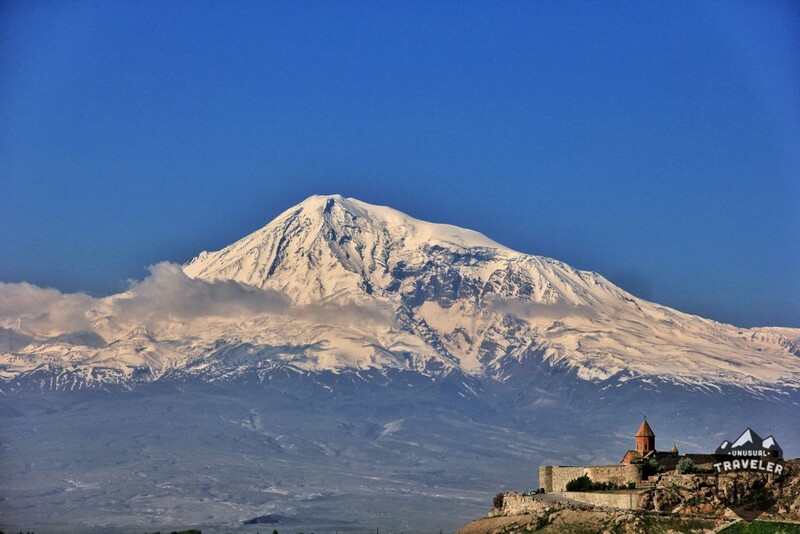 Mt.Ararat seen with Khor Virap monastery in front. While you can see Mt.Ararat from Yerevan on a clear day is it much better to do a short day trip to Khor Virap and get a closer look at the historical mountain. Gerhard is one of the most famous Monasteries in the country and located on a gorge. Part of it is carved into the cliff itself and the church is said to have been named after the spear that pierced Jesus Christ on the cross. 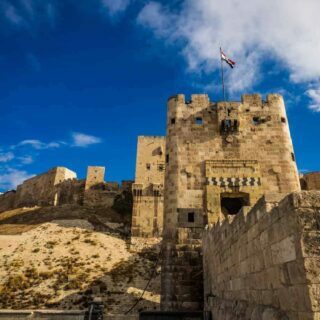 It is in a magnificent location and a UNESCO World Heritage Site. 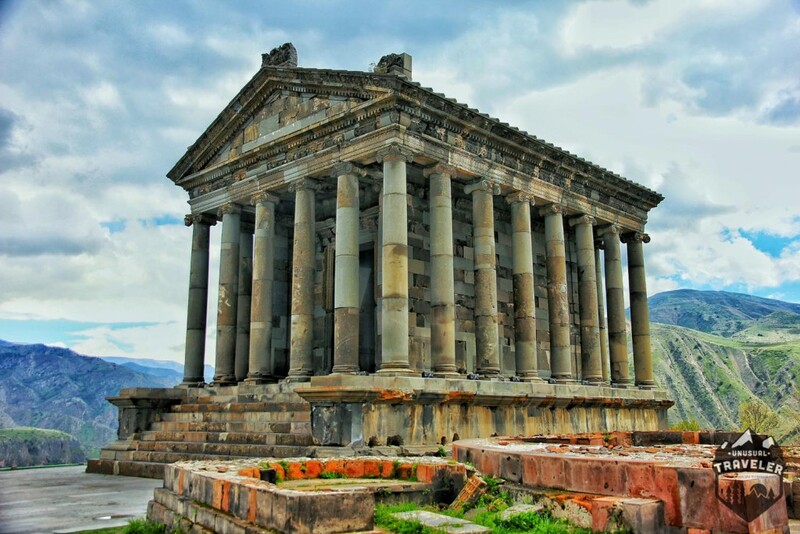 Garni temple is the only Greco-Roman structure in the country. 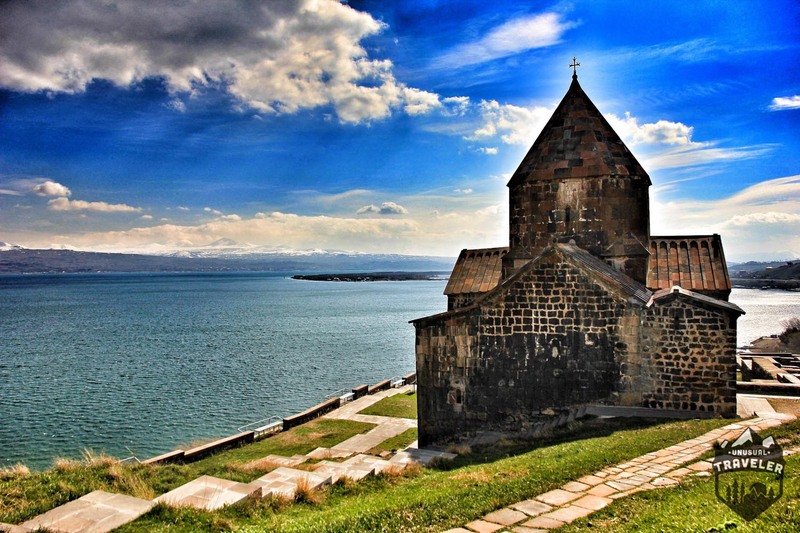 In the north of Armenia, there is the beautiful Sevan Monastery located beside Sevan lake. Sevan monastery next to Sevan Lake. 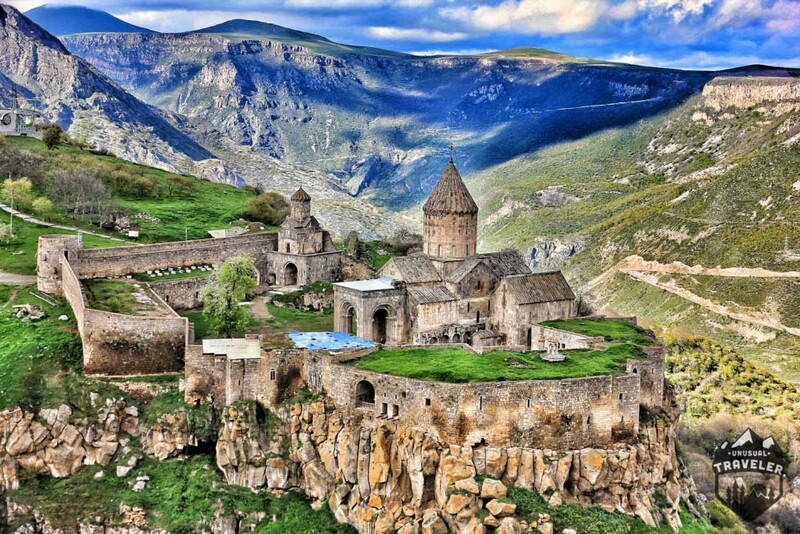 Tatev Monastery in the south of Armenia is another beautiful church set in stunning scenery. 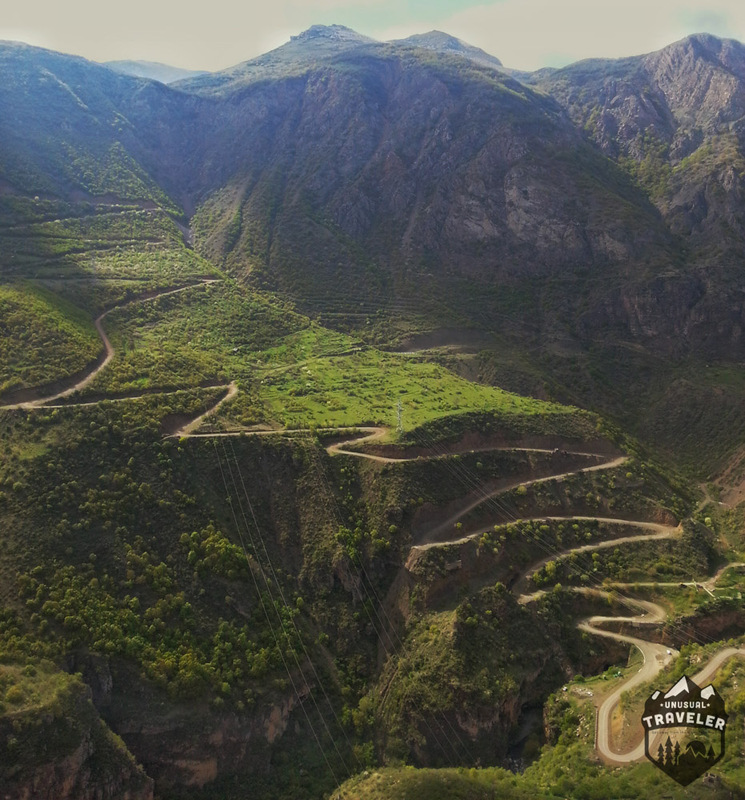 To reach the monastery can you take “wings of Tatev” the world´s Longest non-stop double track cable car 5.7 km/3.5 mi long. The cable car travels at a speed of 37 km (23 mi) per hour and a one-way journey takes 10 minutes. At its highest point over the gorge, the car travels 320 m (1,050 ft) above ground level. It offers an amazing view, but it’s not for people that are afraid of highs. It´s also possible to drive all the way up to the Monastery. The million dollar view from Wings of Tatev cable car. Tatev monastery in south Armenia. I hitchhiked between all these places, staying in small local villages and even with some of the people I hitchhiked with. European Union passport holders and nationals of Schengen Agreement member states can enter Armenia without a visa and stay for a period of up to 180 days per year. Citizens of the USA no longer require visas to enter Armenia (as of January 1, 2015). Passport holders of most Asian and African countries need to obtain the visa in advance. There is a night train once every other day to Tbilisi, Georgia. There’s also minibusses between the two capitals at 9 am, 11 am, 1 pm, 3 pm, and 5 pm. There is a daily modern bus service from Yerevan to Tehran or Tabriz in Iran for about $60/$50. There is NO transportation between Armenia and Turkey or Armenia and Azerbaijan. There are more and more hostels opening up all over Armenia every month now, the number of hostels in Yerevan has gone from 11hostels 2 years ago to 32 hostels now in 2015. Hostel prices in Yerevan start at 5USD. They’re homestays and guest houses in every town village around the country, those normally start at 8-10USD a night. The Armenian currency is known as “dram” (AMD) 1USD = 480 AMD 1 Euro =517 AMD. You should be able to have a daily budget at 20 – 25 USD a day. There´s ATM´s everywhere in the larger city’s, and it’s not any problem to exchange USD, Euro or even Russian rubles. 1,5L Bottle of water – 225AMD. Meal in a local restaurant – 1400AMD. Meal in a good restaurant – 5000AMD. Big Mac meal at McDonald´s – 2000AMD. Coffee in a coffee chain – 720AMD. Pack of Cigarettes (Marlboro) – 600AMD. Beer local 0.5L can – 210AMD. Beer imported 0.33L (Heineken) – 600AMD. Gasoline (1 liter) – 440AMD. Sounds really interesting. I must visit one day. Wow! The collection of photos are just fantastic . It must be nearly 5 years since I visited Armenia. But where is sny information about armenian food? U know, caucasian food is really good. Christian, you should taste it! Next time use this one http://vivaster.com/tour/tasty-tour-armenia-8382 and i’m sure Armenia will be your favorite country. Good luck! 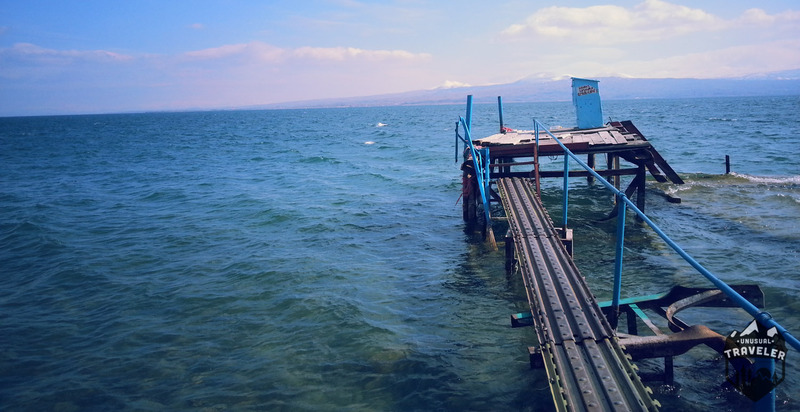 I enjoyed reading your blog about Armenia. And the photographs are quite beautiful too! 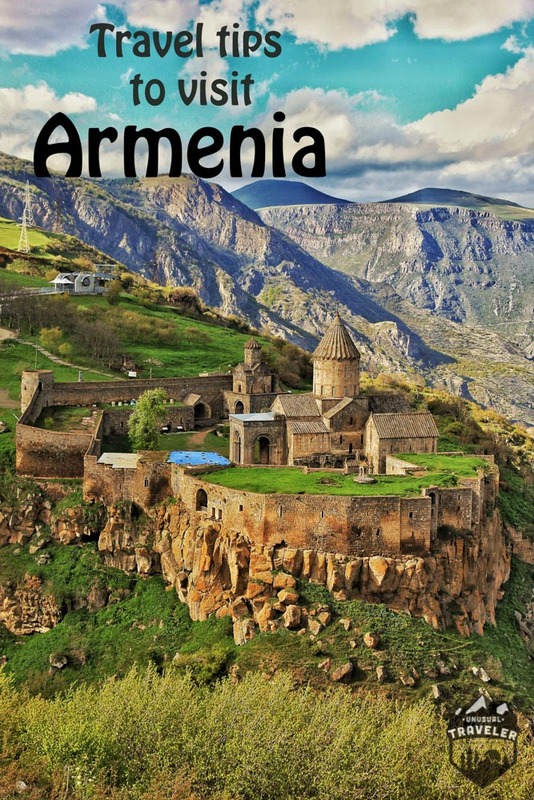 Wow you have listed all useful information about Armenia. But how many days would you suggest to cover all these places mentioned in your article? Also do we get a tour guide with car to take around these places or we have to go by public transport?